Ok, it might be a crazy idea. I'm toying with making a papier mache hive roughly replicating a hollow tree hive. My thoughts are to build up layers of papier mache and layers of chicken wire to form air space between each layer until I get a total wall thickness of around 50mm. I would then mount it up a tree about 5 metres off the ground. I don't want to get inside it, I just want to see if I can attract a swarm and if they would flourish in it. I've got a nest in my owl box in our roof which is about 1m square with about 120mm diameter entrance hole, the bees moved in over two years ago and appear very strong. No reason in principle, I guess, why it should not work. but, you would need to use some kind of waterproof glue/resin with the paper or it would fall apart in the first rainfall. The cost of such glue/resin will not be cheap given the amount you will need for such a project. In which case, in terms of cost, you may as well use timber. I was only planning waterproofing the last layer. My thought behind using papier mache rather than timber was to achieve a random shape on the inside. I can see no reason why it won't work per se. Unfortunately I can also see no reason why you would do it. To do it sufficiently would take a lot of time and work and what you would end up with is something that was almost as good as just using some wood. There were some post on here a while back about hives made from papercrete. If you are intent on doing it may speed things up a little and give you better water resistance. 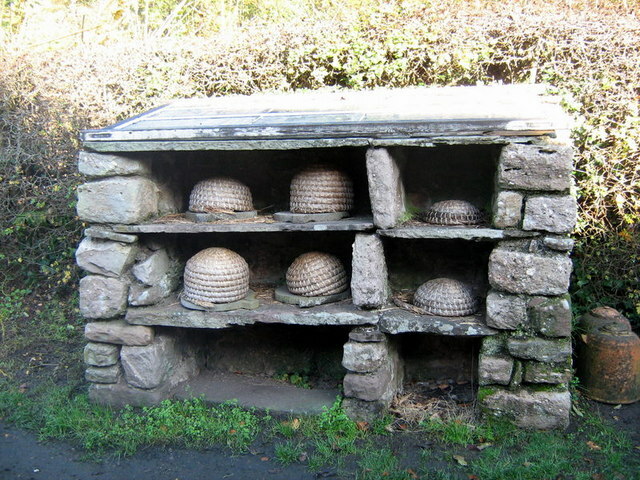 Some people have used the peat/papier mache pots as bait hives. Personally I can see pluses to making hives this way. Recycled news print is free & no more trees are felled. 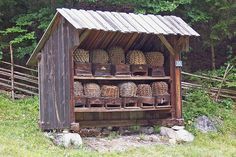 Personally I wouldn't waterproof the hive but build a cover to protect it from the worst of the elements as used to be done with skeps. Clome the outside with cow dung & put a galvanised roof over the top. Something like this or this. Paper recycled to paper can again be recycled. Paper recylced to a bait has no future life.